Hi ya everyone! 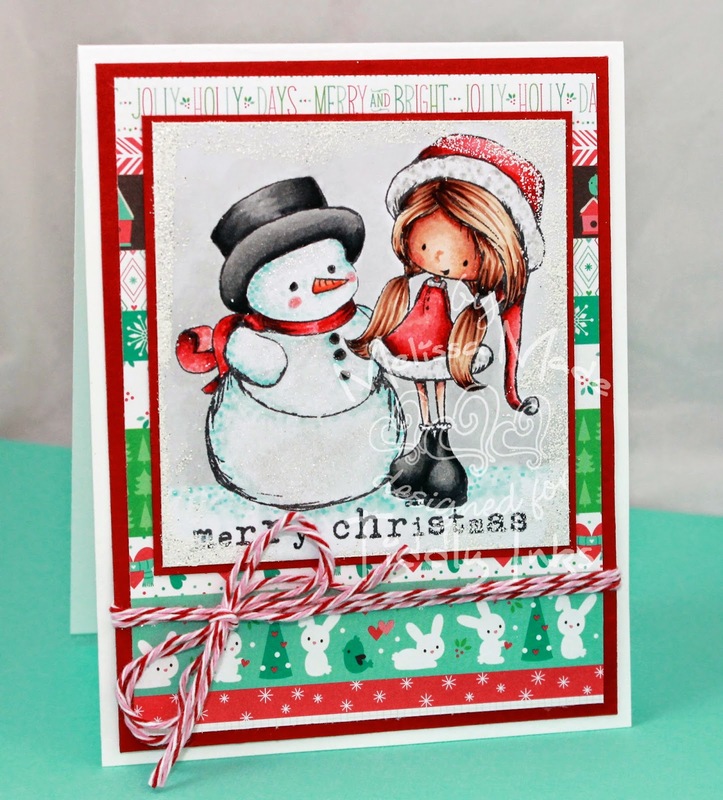 Today, I'm sharing a Tiddly Inks creation for the Fabulous Friday post! I'm so excited about winter and especially, Christmas. There is nothing better than getting together with family and friends and celebrating the season. I used the clear stamp set, Winter Wishes. I colored them up in my Copic Markers on Make It Crafty coloring cardstock. I added a bit of Zing emboss around the edges. Last, I added my Wink of Stella clear brush to the snowy areas! The paper is Lawn Fawn. Make sure to pop over to the Tiddly Inks blog and check out all the adorable creations for lots of fabulous inspiration!